Want to Be at the World Cup? Bring Your Visa. Soccer fans planning to go to Brazil to take in this year's World Cup had better be sure to take their Visas--not just the visa you may need to enter the country, but your Visa card. Visa is the exclusive global financial services sponsor for the FIFA World Cup, which means that the only cards accepted at these matches--and over 40 other FIFA events--will need to have the Visa logo. According to FIFA's annual report, Visa and the other five FIFA Partners have spent a total of $177.1 million each of the last two years for the privilege of being one of the organization's top-level sponsors. The partnership involves prominent branding and marketing efforts, and for Visa, it also means that Visa will be the only credit card brand accepted for purchasing tickets and at the World Cup stadiums. Leading up to the World Cup, Visa worked with merchants throughout Brazil to expand acceptance of not only credit cards, but also the Visa brand. Part of this effort includes the installation of over 500,000 Visa-enabled contactless payment devices, which allow for faster credit card payments. Visa says increased credit card acceptance will help merchants not only with the increase in international tourists expected to descend on the country for this event, but also with future increases in international visitors. Coincidentally, Visa is also a partner of the 2016 Summer Olympics, which will take place in Rio de Janeiro. For the true soccer enthusiast, Visa does offer some FIFA World Cup branded credit cards; however, they're mainly issued out of banks located in the Middle East. Some of these include Commercial International Bank of Egypt's FIFA Visa credit card, and Bank Muscat of Oman's pre-paid Visa card. If you're not planning to go to Brazil itself, be prepared to see many "Go Fans" commercials, which will be shown in 30 countries. Visa's also created "Goooal" videos for its Visa "Go Fans" YouTube channel. 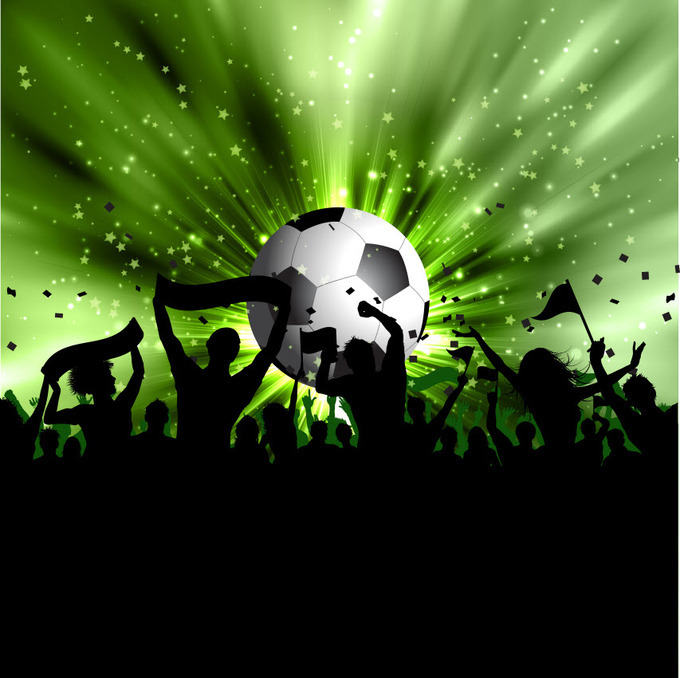 On Facebook, Orkut and Mixi, it's put an interactive soccer guide for fans to download. Visa is also using the World Cup to promote financial literacy efforts, and in an effort to help with this drive, has created a soccer video game geared tweens, high schoolers and adults. Fans can go to financialsoccer.com to play. Available for eleven regions around the world, the game has three levels: "Amateur" for ages 11 to 14, "Semi-Pro" for those 14 to 18-years-old and "World Class" for adults. Players can choose a single player version or go head to head with a friend. They can also choose from four different game lengths: five, ten, twenty or thirty minutes. To start, pick the two countries that are playing against each other. There's a coin toss, and then the questions start. For each move a team makes, players have the option to answer easier or harder multiple-choice questions. The harder the question, the more difficult kick a player can make, which moves the ball down the field faster. Answer a question wrong, and the other team has the opportunity to steal. If regulation ends in a tie score, there are true and false questions driving a shoot out to determine a winner. Players can also tap into lessons developed for each level of play. Each level contains four modules that cover a wide range of personal finance and economic topics, including saving, compound interest, staying out of debt, identity theft. Older students also learn about creditworthiness and credit reports. Lessons come with discussion topics, worksheets and quizzes. Visa has partnered with FIFA since 2007 and earlier this year, it extended the partnership through 2022, which means the brand will maintain global marketing rights for the 2018 World Cup in Russia and the 2022 World Cup in Qatar, along with other FIFA World Cup events throughout the next eight years.